MANILA - A Makati court on Tuesday ordered the arrest of Senator Antonio Trillanes IV, weeks after President Rodrigo Duterte voided the amnesty that revived charges against him for failed uprisings in 2003 and 2007. The Makati Regional Trial Court (RTC) Branch 150, which handles the rebellion case against Trillanes over the 2007 Manila Peninsula siege, issued the arrest warrant 21 days since Duterte voided the former Navy officer's 2011 amnesty. The court also issued a hold departure order against the senator. The Department of Justice earlier asked the court to order Trillanes' arrest and bar his departure from the country, arguing that the nullification of his amnesty meant that all cases against the senator must be pursued. 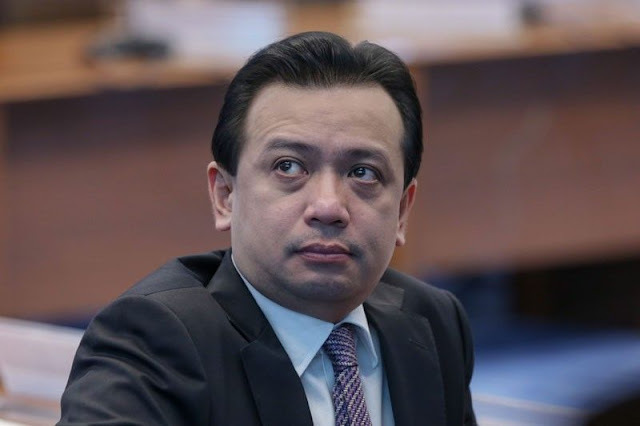 Trillanes is facing a separate coup d'etat case at the Makati RTC Branch 148 for leading the 2003 mutiny at the Oakwood Premier hotel in Makati City. Duterte had voided the amnesty granted by former President Benigno Aquino III to Trillanes for his alleged failure to file an application form and admit guilt for his crime. Trillanes has been holed up in his office at the Senate building since the President's August 31 proclamation was made public on September 4. This is developing story. More details to follow.